I think most of us need that morning cup of something. Whether it be coffee, tea, or even a ritual AM smoothie, our mornings taste better with a drink that will start us off on the right foot. 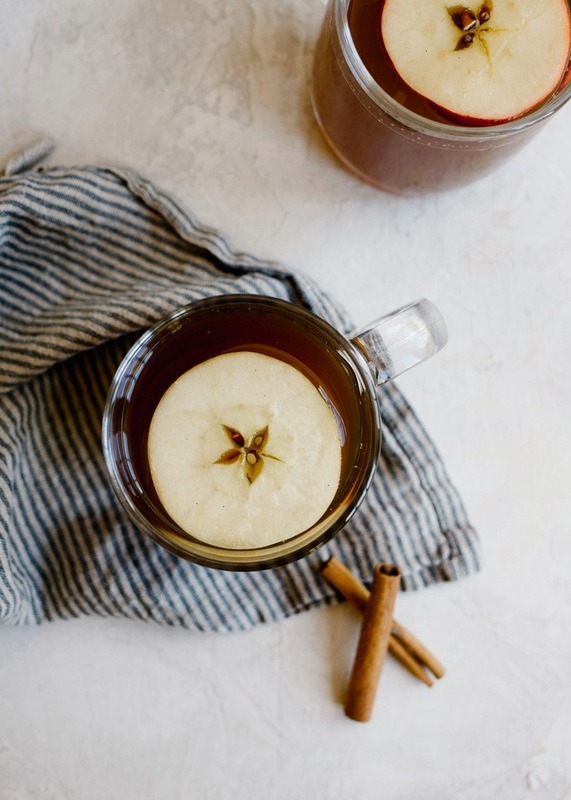 Today I’m sharing this simple recipe for warm apple tea, and I have a feeling it’s going to make your mornings a whole lot sweeter. I’ve been incredibly blessed with two (and a half!) really easy pregnancies. 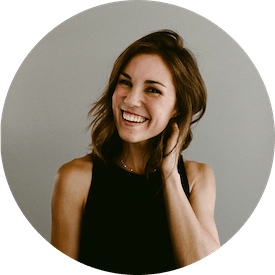 The first trimester usually brings an onslaught of morning sickness and yawning and bloating, but I’m otherwise in the clear. Aside from a few out of the norm food cravings (I’m looking at you, sausage egg and cheese biscuits), the only really strange thing that happens to me early on in every pregnancy is that I suddenly can’t tolerate coffee. Although I’m normally a devout morning coffee drinker, the smell, the taste, and even just looking at my French press doesn’t settle with me at all those first few weeks of pregnancy. Thankfully, now that I’m on my way into the second trimester this aversion is mostly gone, but for a month or two I survived the mornings solely because of tea. 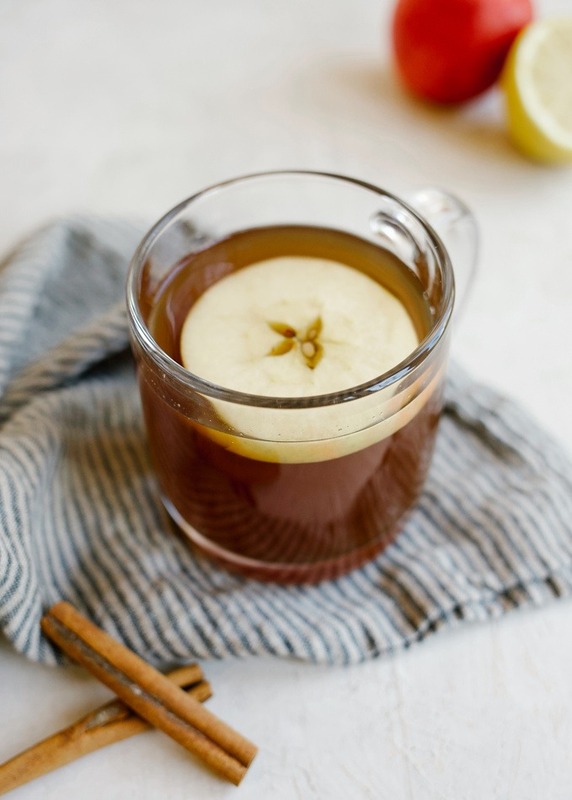 This warm apple tea is just the type of thing I would have reached for. 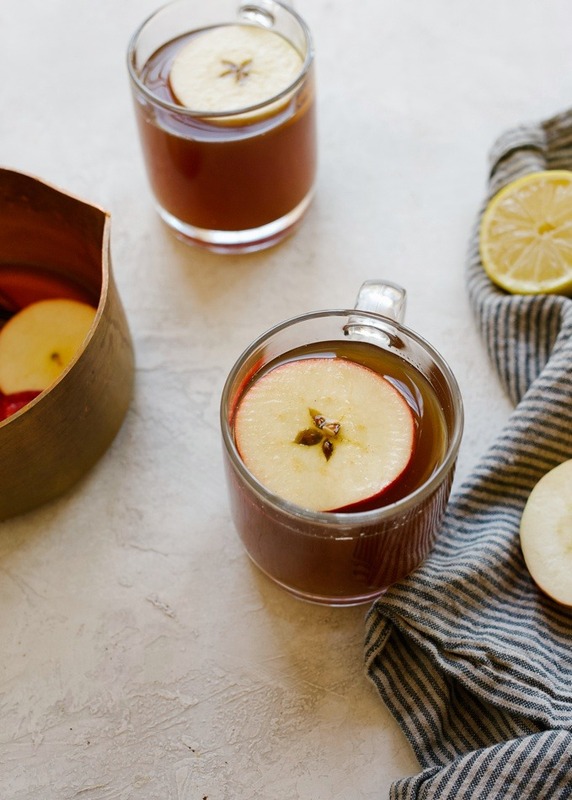 Lightly caffeinated, quick to make, and completely free of any scent of java, this warm apple tea is the perfect beverage to cozy up to during our chilliest weeks of the year. 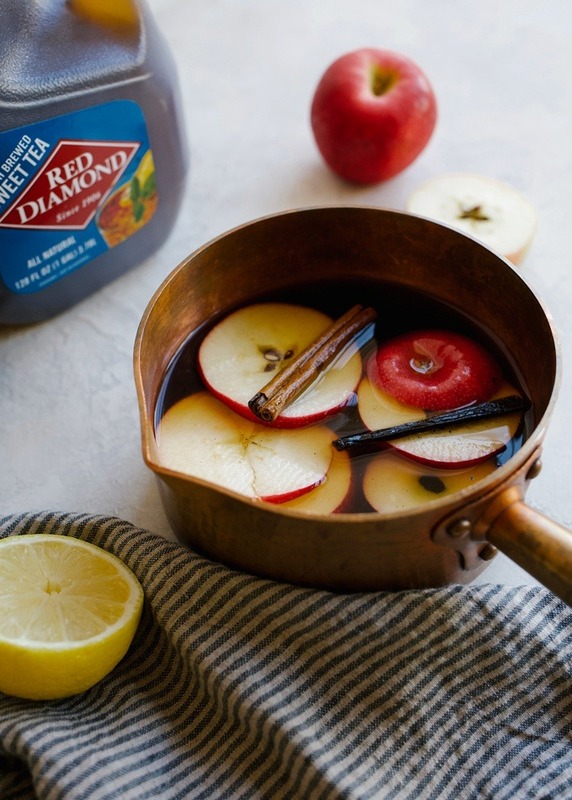 A comforting drink made up of Red Diamond Ready to Drink Sweet Tea, this beverage is infused with fresh apples, cinnamon, and vanilla bean, with just a touch of lemon added for balance. While I’ve mainly enjoyed it as a morning sip, this is a perfect little beverage to serve in the afternoon to fireside friends and your other favorite couch loungers. Let’s chat about how to make it. 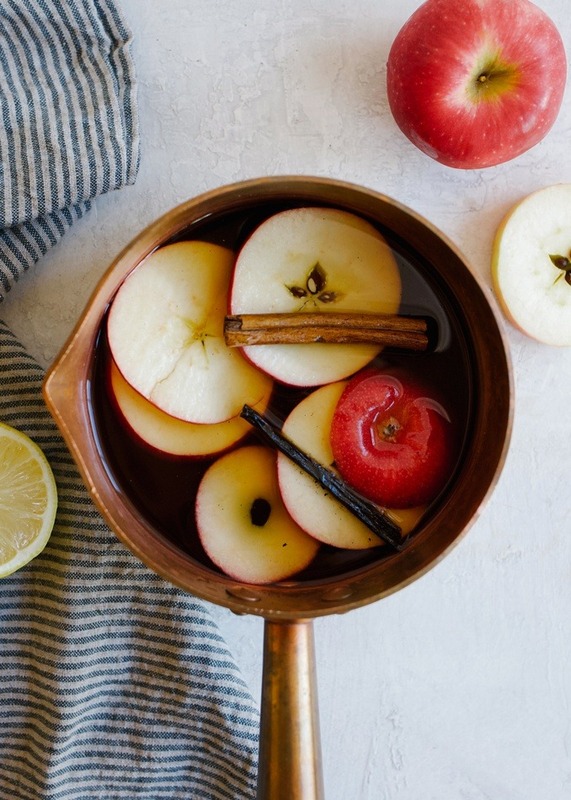 In a medium-sized saucepan, combine a few cups of Red Diamond Sweet Tea with one roughly chopped apple, a cinnamon stick, and 1/2 of a vanilla bean. Bring the mixture to a boil and then simmer over low heat for about 3-4 minutes. Turn off the heat and allow the mixture to rest on the burner so that all of the flavors can mix and mingle with one other. Give the mixture a taste after about 10 minutes and allow it to rest a bit longer if you want that cinnamon flavor a touch stronger. Pour your desired amount of apple tea into a heat-safe glass and finish it off with a bit of lemon juice. 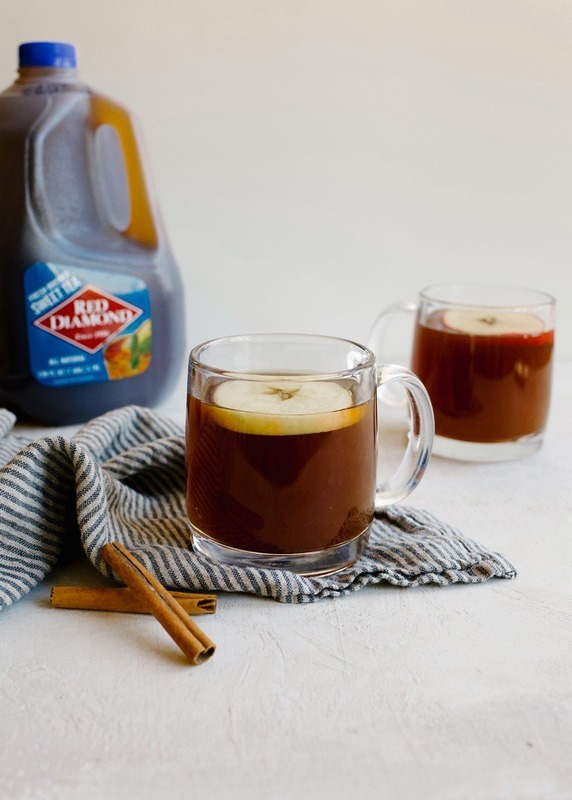 This drink is perfectly sweetened with flavors jumping out at you from all sides. Although I have preferred to enjoy it warm, you can easily chill the mixture for an iced-down daytime beverage as well! It batches nicely, so be sure to make a few servings at a time to reheat all week long. Just take care to strain the fruit, cinnamon, and vanilla bean pods out of the liquid so that the flavors don’t intensify too much. 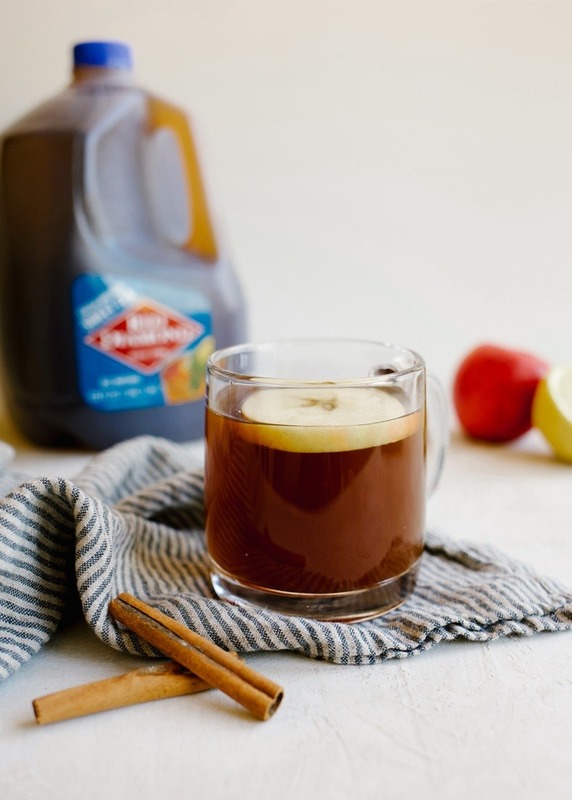 Give this warm apple tea a try and be sure to check out Red Diamond Ready to Drink Sweet Tea! 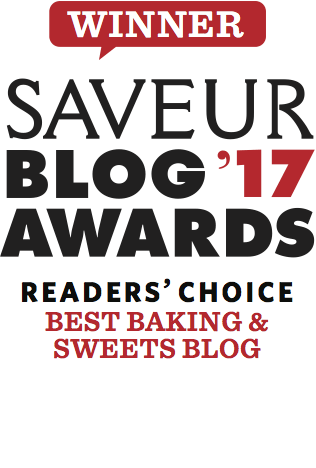 As a Southern transplant, I’ve learned my way around sweet tea, and this is one brand that I can trust to provide quality, real ingredients with consistent flavor. If you’re craving more sweet tea recipes, be sure to check out the sweet tea hot toddy I created a few months ago! It’s another warm drink, just a little boozier. Enjoy, friends! This sounds interesting, will definitely give it a try.